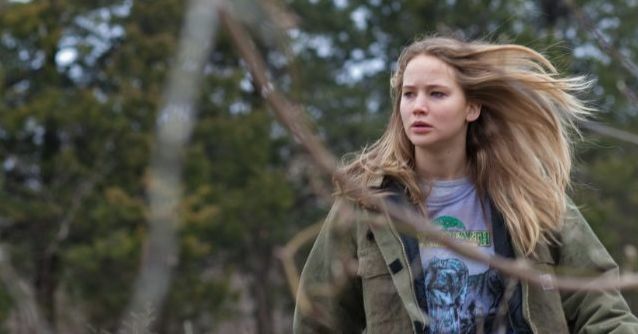 In Winter's Bone, Jennifer Lawrence is astounding as a type of teenager rarely seen in movies. Raised in her bleak Ozark mountain shanty house and surrounded by a community where everyone is related in some way or another ("bread and butter"), Lawrence is the caretaker of two young siblings and a mentally handicapped mother. She's tough and brave, resourceful and independent, underestimated by everyone around her but unflinching and proud of who she is and what she comes from. Her missing father cooked meth and has skipped his parole hearing. If he isn't found in a few days, she and her family will lose their house. Lawrence takes this responsibility upon herself without question or complaint and goes on a Hero's Journey to find her father, confronting her "kin" for answers. She is threatened, frightened, bullied (by her uncle played by Deadwood's John Hawkes), lied to, beaten, and nearly killed, but she continues on because there is no recourse but to find her father or proof of what became of him. "What should we do with you?" "That idea's already been said. Got any others?" "Help me. Ain't no one's said that idea yet." It's interesting that everything Lawrence does is not to get ahead or achieve something for herself, but simply to maintain what little she has as a status quo, which is enough. Some of the most poignant moments are of Lawrence in school gazing dreamily at the ROTC - she hopes to join the Army not as a way out, but only because they pay $40,000 for the five year commitment. What a sad scene it was when she explained to the Army recruiter she was only interested in the Army for the money, which she is desperate for, and he gently rebuffed her because she can't take her siblings with her to basic training, nor would she get paid the money she'd be joining for for five years. The resolution to Lawrence's story offers a reward that feels like almost too much, but the final moments are moving and just right for this girl who would "be lost without the burden [of her family] on her back." Winter's Bone is the second great film I've seen this year where the plot and salvation of the main character hinges on an amputation (the other being 127 Hours). It seems so much cooler when someone's arm gets chopped off by a lightsaber in Star Wars.